Mediawatch-UK's autumn newsletter has just been published on the website. John Beyer, director of mediawatch-uk, said: This game sounds very unsavoury. I hope the British Board of Film Classification (BBFC) will view this with concern and decide it should not be granted a classification. Without that it cannot be marketed in Britain. We need to ensure that modern and civilized values take priority rather than killing and maiming people. It seems a shame that the game's manufacturer has decided to release this game exclusively on the Wii. I believe it will spoil the 'fun for all the family' image of the Wii." Within hours of these remarks being published a rain of hostile emails from gamers poured into our office telling us to "shut the f*** up", suggesting that we have "got our knickers in a twist", demanding, as though we were on trial for an heinous crime, to know what right we had to impose our "narrow minded bigotry" on them and stopping them playing an "adult" game of their choice. Others, of a more sober character, asked reasonably why we should be so concerned about games when there was so much violence in films and on television! We were also accused us of being "cowards" for not responding properly to belligerent strictures and one ‘emailer' observed glibly that "violent acts are not a symptom of video games and films, but rather the human condition". Another said: "If you don't like violent content, don't view or use it". Others thanked us cynically for drawing attention to the game saying they would rush out and buy it as soon as it was available. Yet others told us to focus on retailers and said that parents should safeguard their children from "adult" games. Feature articles, grossly exaggerating the significance of our comments, were written in computer game magazines exonerating the multimillion pound games industry and headlines were achieved on Google News UK and dismissive remarks made in The Guardian newspaper. It is comforting to know that the BBFC, too, received "abusive and incoherent" protests from gamers who disagreed with their decision to reject the game Manhunt II - a decision that was subsequently overturned on appeal. 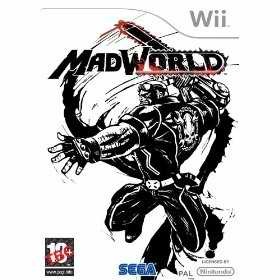 John Beyer of Mediawatch-UK, has told SPOnG that he is disappointed by the BBFC's decision to give SEGA's violent Wii title, MadWorld , an 18 rating. I'm disappointed but not surprised , Beyer told SPOnG: I think my view is pretty well known. It's what I expected. The 18 rating was granted by the BBFC, with no cuts made. The consumer advice reads: Contains very strong, stylised, bloody violence. 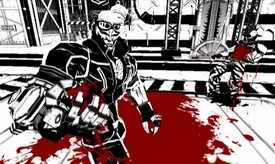 Just a day after the game was given an 18 rating by the BBFC, Sega has revealed that MadWorld has also received a rating in Australia. Surprisingly, it appears as if the violent Wii title was given a MA 15+ rating by the Australian Classification Board without any cuts made to the content. Because the highest rating the OFLC has is MA 15+, a number of high profile mature titles have been recently banned and only reinstated after edits. However, in spite of what the BBFC describes as very strong, stylized, bloody violence, Mad World was given a pass.